Adequate electricity, water, health and safety arrangements have been made on the trek route from Gaurikund to Kedarnath by the Uttrakhand government to ensure a comfortable experience for the devotees. The portals of Kedarnath temple were opened today in the presence of Governor KK Paul. Extending a warm welcome to devotees visiting the famous shrine in Garhwal Himalayas, Uttarakhand Chief Minister Trivendra Singh Rawat yesterday said that this year's yatra would have several new features, including a daily laser show on Lord Shiva, to make the visitors' experience even more cherishable. All necessary arrangements have been made by the state government to facilitate a smooth yatra for the pilgrims, Rawat said. Adequate electricity, water, health and safety arrangements have been made on the trek route from Gaurikund to Kedarnath, he said, adding, availability of doctors has been ensured at every kilometre along the route. Enough boarding arrangements have also been made for the pilgrims, the chief minister said. Rawat said thanks to the well-planned restoration work carried out at Kedarnath, its attractive and grand structure would be visible to all. He said the road from the helipad to the temple has also been widened substantially, he said. "At Kedarpuri, 'The Eternal Shiva' laser show will be the centre of attraction for devotees. The show depicts various life-like forms of Lord Shiva. It will be held on a daily basis," he said. 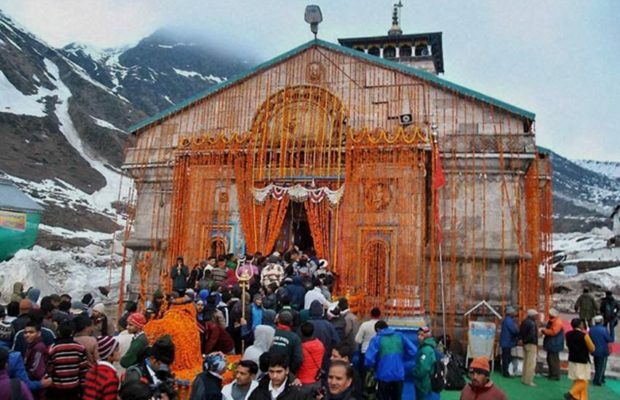 Gangotri and Yamunotri shrines have already been reopened while the gates of Badrinath will be reopened on April 30. The gates of these temples are closed every winter due to snow-bound conditions.